The Aqua Cat is a 102' catamaran luxury yacht, with a cruising speed of 14 knots that has weekly charters departing Saturdays from Nassau, Bahamas to the remote islands/cays of the Exumas, Bahamas. You will find no crowds or agendas here, but you will find the perfect place to sit back, relax and choose from an incredible variety of activities including scuba diving, snorkeling, kayaking, fishing, sunbathing, and island exploring. The Aqua Cat is also equipped with a 28' launch, which can take you ashore to experience these untouched wonders. Looking for an adventure? 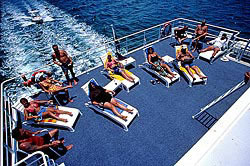 Then Blackbeard's Cruises may be just what you are looking for! 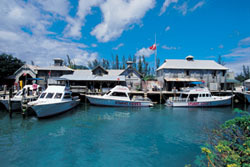 The three sailboats (Sea Explorer, Morning Star and Pirate's Lady) that make up Blackbeards, offer "camping at sea" style vacations to the Out Islands of the Bahamas. 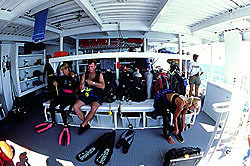 The diving is amazing, and will include shallow reefs, wrecks, walls, and shark dives. 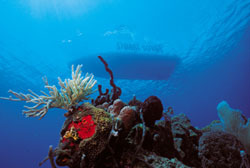 This experience is all about dive, dive, dive, as you will dive both day and night. Blackbeard's sails each Saturday for a weeklong cruise to the Biminis, Grand Bahamas, Berries, Andros, Cay Sal Banks, or Nassau areas. Your dive charter with Blackbeard's is all-inclusive; they supply everything but your personal gear and towels (so don't leave these at home). 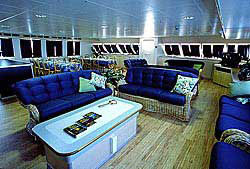 If you do not own all of your own gear, Blackbeard's Cruises does offer high quality rental gear. 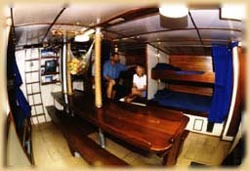 The accommodations are modest, and provide travelers the choice of single upper and lower, or double upper and lower berths, all of which are 74" in length. 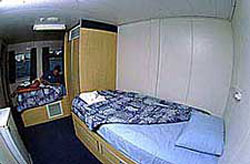 Each berth has a privacy curtain. There are no private staterooms on these boats. 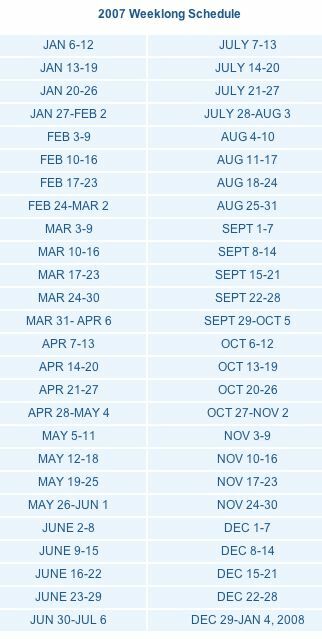 Cat Ppalu Cruises offers a laid back comfortable liveaboard adventure in paradise, available for group charters (up to 12 passengers). 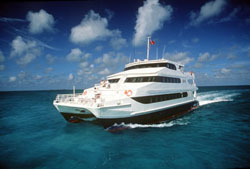 Set sail out of Nassau on this 65' catamaran to the Exuma Islands. You set the pace, choose to dive, snorkel, kayak, or just sit back and relax. 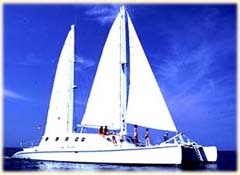 Think of Cat Ppalu as your private floating hotel, with a well skilled crew at your service.